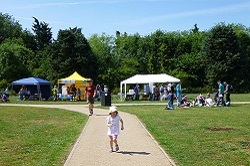 2006 Ely Wildspace (EWS) was started in 2006 by local people worried by development plans for Roswell Pits and Meadows. 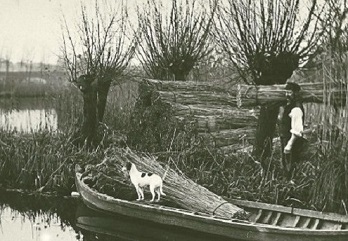 Back then it was known as Local Campaigners for the Protection of Rural Ely: LPCRE. 2007 EWS had an application for tree preservation orders on the remaining trees in Roswell Pits approved by ECDC which helped to protect the area from further development. 2007 EWS met with Wildlife Trust, ECDC and Natural England to develop the Ely Wildspace Vision, identifying areas that are vital to protect. 2008 EWS applied to Cambridge City Council to have Ely Common registered with Village Green Status. 2008 EWS had its first litter pick, 60 volunteers came along to help clean up the area. 2009 Natural England made Roswell Pits and Meadows into an 86 hectare SSSI notified for its geology and breeding and wintering water-birds. 2009 Elywildspace Ltd became the owners of a 2 acre area of land through the generous donation of a sponsor. 2010 EWS opposed the planning plans submitted for development of Roswell Pits. 2010 EWS start work to create a nightingale habitat on the land it owns. 2011 EWS help John Lee to plant the hedge on the North Flood meadows, to protect breeding water birds. 2011 EWS with Wildlife Trust and ECDC start management of Ely Common to restore wildflower meadow. 2011 Ely’s first bird race which has run biannually since. 2011 EWS with Dr Ed Tanner surveyed Ely Common. This is to become the baseline for future management of the common for wildflowers with a survey carried out annually. 2013 EWS oppose the Cambridge University Boat House. 2013 EWS installed two tern rafts on the Pits. 2013 EWS application for Town Green Status was approved. 2014 Using Heritage Lottery Funding, EWS launched the “Memories of Ely Pits and Meadows” Oral History project. 2015 EWS opposed the planned building of a straw pelleting plant. 2015 Ely Wildspace held its first Bioblitz. 2016 Ely Wildspace held its second Bioblitz. 2017 Wildlife recorders have undertaken The Big Year, carrying out surveys and recording many species found in the Wildspace throughout the year. 2017 On St George’s Day, April 23 2017, the family and friends of John Hunter planted an oak tree in memory of John, on Lovers Lane. ( Springhead Lane). John had provided Ely Wildspace with valued financial support and advice. 2018 EWS planned relaunch, new website, new list of event.